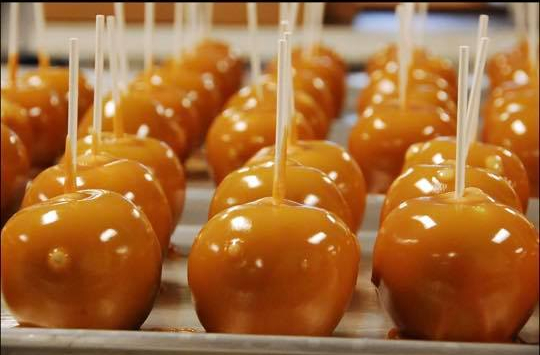 The folks at Van Otis Chocolates are hosting this all day event for guests to come in and master the art of Apple Decorating, guests can choose from milk chocolate or dark chocolate to cover their pre-dipped caramel coated apples! Tickets for this event are available in the store, and the cost is 11$ per apple. Come celebrate the opening of New Hampshire's first legal Distillery in 150 years this weekend! There will be tastings of made-in-house liquors & spirits all from the Live Free Distillery, there will also be artisanal goods from local New Hampshire artists and creators! Detox and Retox Yoga is a one hour class taught by the team at Fairburn It Off, cost of admission is 15$ per person and part of the proceeds from this event go to benefit the New Hampshire and Massachusetts Societies for Prevention of Cruelty to Animals! The class is followed by a tasting of in-house brews from 603 Brewery. Have fun this Sunday, and remember to bring your yoga mat! This Sunday afternoon antique show sounds like a blast! Featuring over 100 antique vendors selling a wide variety of goods, alongside multiple food vendors, in addition to the beer tent & live music performed by The Funky Divas of Gospel! Your local Oddities Market is back again! Over 35 amazing and talented creators and artisans are coming to Portsmouth this weekend to showcase their crafts and sell you some fantastic pieces for your Macabre collection! There'll be live music performed by Timothy Fife, and an open bar for those 21 and up. Tickets are available online for 6$. Labelle Winery and The Canvas Roadshow have teamed up to bring you a fun filled evening of wine glass painting paired with a fine dining experience, what a soothing way to spend the afternoon & let out your creative side! For those inexperienced with painting and art making, do not fret! There are no prerequisites for this event, anyone at any skill level is welcome! Many many adults deal with some form of anxiety or stress in their day to day life, Lisa Daykin Yoga wants to help you understand where to begin in tackling your anxiety and stress through guided meditation, yoga practices, and breathing exercises. Lisa will also be sharing her favorite blends of essential oils that will help you manage the symptoms of anxiety. Tickets for this event are 25$ per person.